The PRAM state PRism awards recognize exceptional work in public relations by practitioners in the state of Mississippi. Entries are judged by professionals outside the geographical range of the Southern Public Relations Federation – Mississippi, Alabama, Florida, and Louisiana. The annual award program also includes a student tier category. 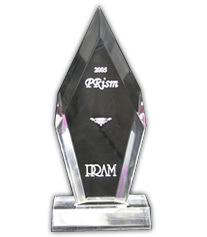 For more information and award entry website, visit the PRAM PRism Awards Web page.